Heart rate and body temperature monitor. Only UID for safe connection of each device. One press construct wifi pair. WPS operation intelligentize the connection. Clear as crystal, natural picture. Double channal for different grade selection. PTZ technology makes experience happy. Convenient to see any view of baby's surroundings. Concern natural expression of your baby. User can define area of picture as sensitive block. App alerts while anything attempts to close to baby. 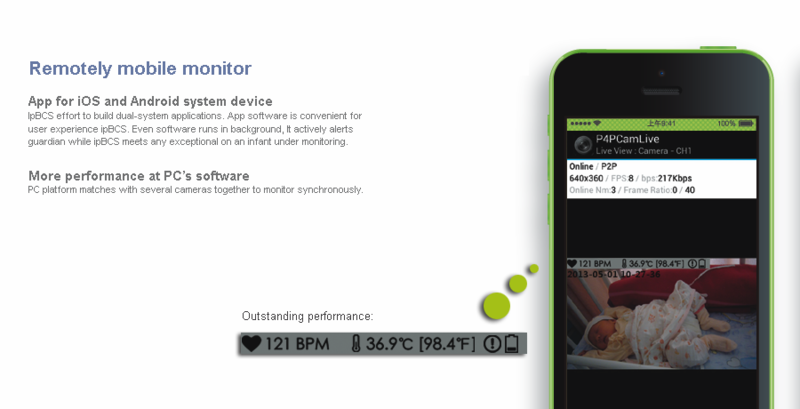 App is necessary for remotely monitoring. We supply App for both iOS and Android device. 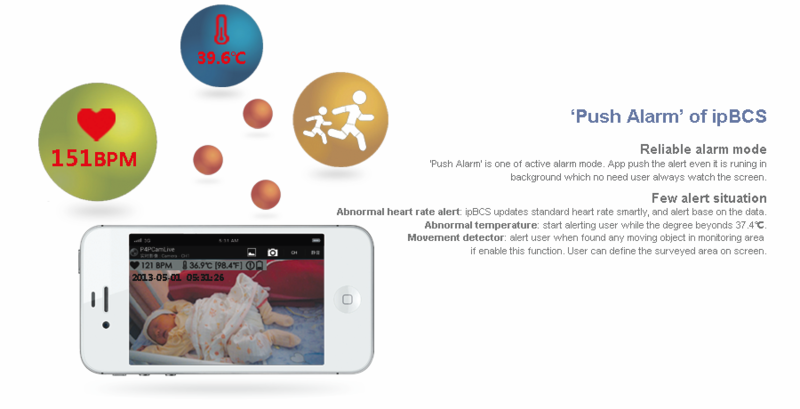 You can also connect ipBCS with pad or PC. The sensor perfect camera sensor function. 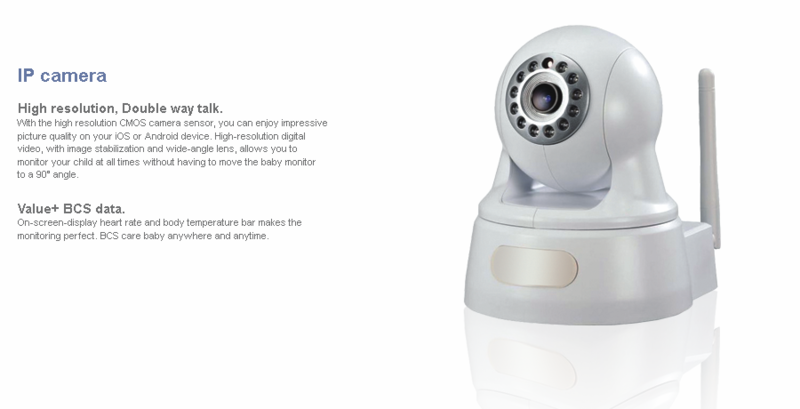 User can access camera device by any kind of IE. Day and night video record. Several IR LED guarantee picture quality of night view.